From the Hancock County Courthouse, go north on Hwy 15 for 2.7 miles. Turn right on Hwy 22 and proceed 3.6 miles to Milton Reid / Union Church Rd (County Road 17) on the right. Turn right and travel about 1.6 mile. The cemetery is approximately 64 yards to your left, in the woods. 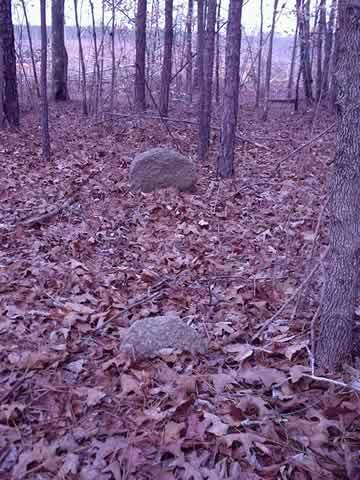 There are no marked graves, only many depressions with rock markers. This cemetery probably predates ownership by the Hamilton Baker family. Over 100 graves marked with fieldstones or visible as depressions.